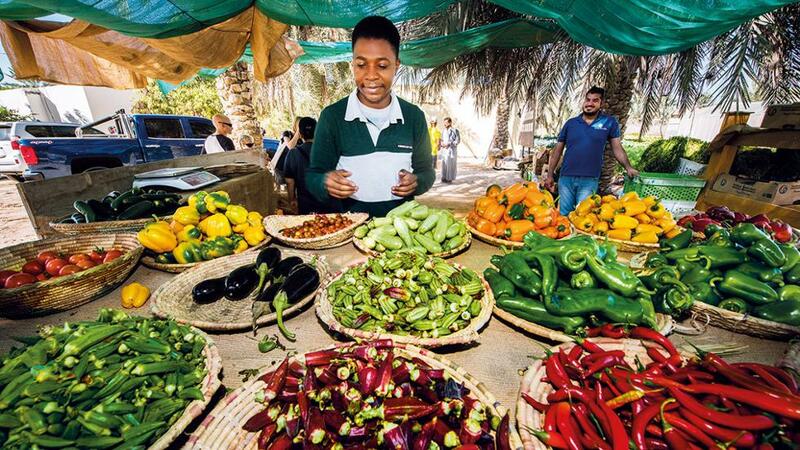 Tucked away on the outskirts of Abu Dhabi and less than an hour’s drive from Downtown Dubai, lies an idyllic spot where nature lovers, fresh produce enthusiasts and young children flock to every weekend. What brings them here every Saturday morning from late October to May is the promise of all things organic, local and sustainable, and an opportunity to stroll amidst nature, discover where the food we eat comes from, and partake in the simple delights of picking up veggies directly from the soil. 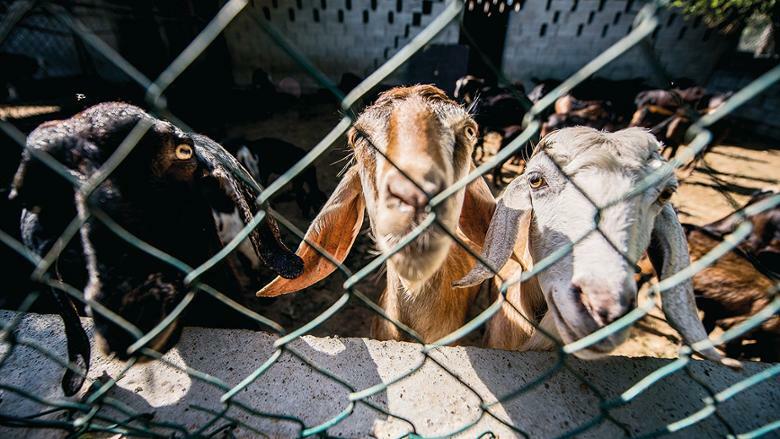 Spread out on approximately 16,000 sq m, in the laidback suburban town of Al Rahba, lies the organic Farm 182 that sees a flurry of activity when it opens its doors to the public every Saturday from 8am to 5pm during the heart of the growing season in the UAE. Here, the greyish sandy soil has been converted into pockets of fertile green strips creating a lush verdant paradise where colourful vegetables, fragrant herbs and leafy greens thrive. 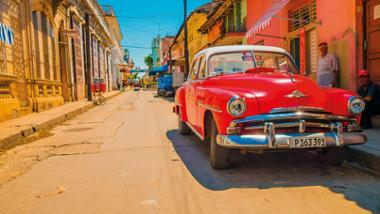 Not a mean feat in a region known for its harsh climate, water scarcity and soil salinity. Al Rahba Organic Farm 182 belongs to the farm network of Integrated Green Resources UAE that have been producing and distributing organic vegetables in the UAE since 2008 on a total surface area of around 900,000 sq ft. 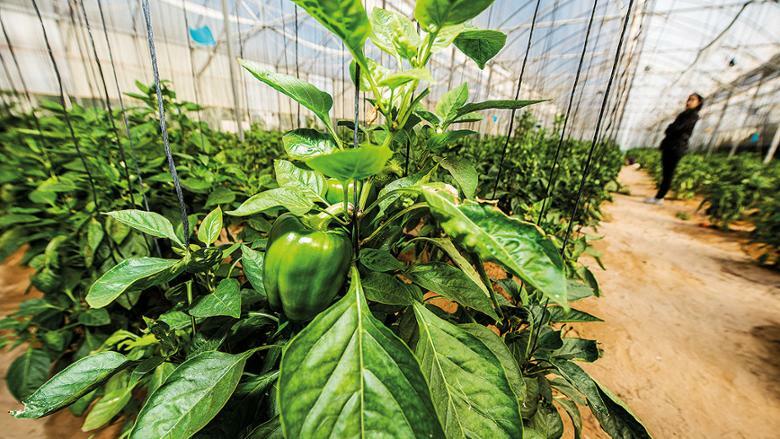 Although the company has several farms including in Al Rahba, Al Khawaneej in Dubai, and in Al Ain, Farm 182 is the only one that is open to visitors, says Ronald Manjoro, Agricultural Engineer at IGR, who leads us on a tour of the premises. At 10am, the place is abuzz with the cheery sounds of little kids, sporting around with paper bags that will soon be filled up with their choice of vegetables. We hear a rooster repeatedly crowing in the distance and cars stream in continuously onto the gravel path, bringing in couples and families. The regular visitors have brought their own shopping bags and baskets while others pick up paper bags at the market corner where small heaps of colourful vegetables are neatly laid out in wicker baskets. Vans from other farms belonging to the IGR network regularly replenish the stock with varied produce as the morning wears on. Products sold with labels such as free-range, natural and locally grown do not necessarily have to be organic, he informs us. Neither are genetically modified organisms allowed on a certified organic farm. ‘We also rely on balanced agricultural principles like crop rotation, organic waste for manure and biological pest control to take care of our crops,’ he explains. It is to the greenhouses that we make our way while Ronald cautions that it is not always open to the visitors so as to eliminate risks arising due to infiltrations of viruses, pests and other crop infections. 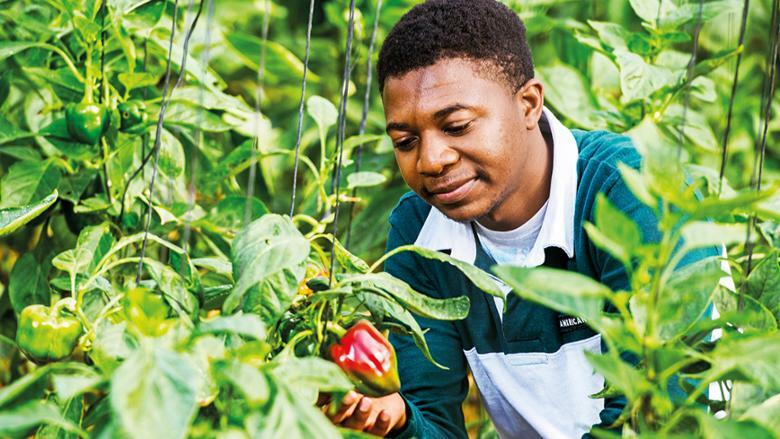 ‘Pest management is vital to keeping greenhouse plants healthy,’ he says, ushering us into a fairly large climate-controlled space where deep orange, yellow, red, green and black bell peppers in varying stages of growth hang from every sapling planted there. ‘Some vegetables such as capsicum, cucumber, beans and tomato grow better in protected environments such as greenhouses where the cool air keeps temperatures well below 30 degrees which is essential for their healthy growth,’ he explains as we make our way to the area where cucumbers are grown. 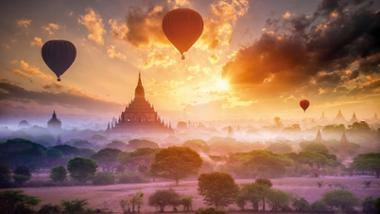 We feast our eyes on a sea of sunny yellow flowers and admire the fruits developing with every pollinated flower. The somewhat triangular-shaped leaves, though, feel rough and prickly to the touch. Ronald shows us rows of trays planted with saplings in its tiny cube-shaped receptacles, ready to be implanted into the soil as soon as they are well-rooted. It takes only 3 to 4 days for cucumber seeds to germinate in the trays, and it is transplanted into the firm soil after 8 to 10 days. 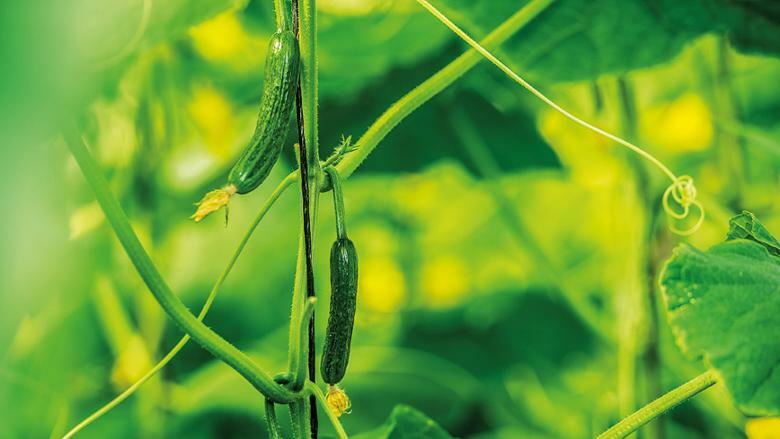 The first harvest is ready within just 30 days and a single plant yields 900g to 1kg of cucumbers at a time, he adds. We visit other greenhouses too where chillies and tomatoes in a varied range of colours are also grown. It is in the open fields that Ronald shows us the rows of freshly planted white and red potatoes that, he says, would be ready for harvest by end of January. The crops are planted directly in the sandy soil, he explains, which is then enriched with poultry manure and organic compost to ensure healthy and productive growth. The farm runs on drip irrigation to both conserve water and improve the soil’s ability to retain moisture leading to higher yields, he informs us. As we walk beside beds of coriander, parsley, mint and rucola, we notice that the crowd at the farm has swelled. One visitor checks the bright green corn husk before breaking it off from the stalk while another cuts a firm and shiny eggplant close to the stem with a small knife. Fresh stalks of spring onion can be seen peeping out from almost all the bags while there are many who are picking the tender leaves and pods off the drumstick (moringa) tree — a trending superfood at the moment. Eight-year-old Lilia has come specifically to see the goats, she says, as she feeds them fresh corn leaves plucked from the field nearby. There are around 15 sheep and 30 goats including kids in the fenced-in pen and Lilia gently strokes and rubs the belly of a mother goat through the barrier. 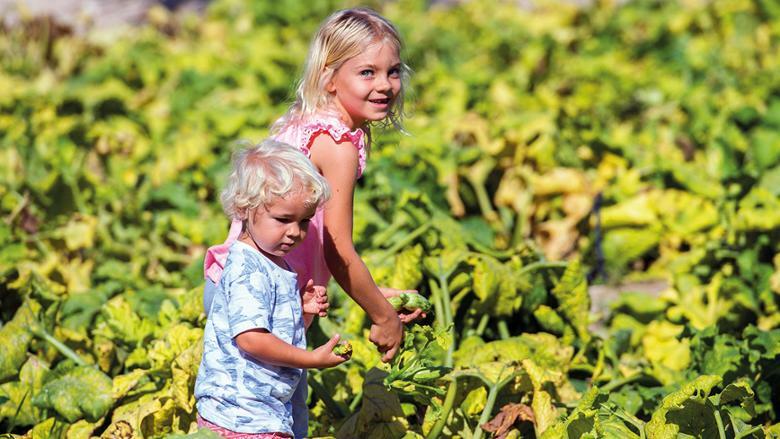 The cauliflower, broccoli, and cabbage varieties at the farm still require more time for harvesting. At the cash counter near the entrance, we notice that customers are adding more vegetables to their bags, apart from the ones they have picked. 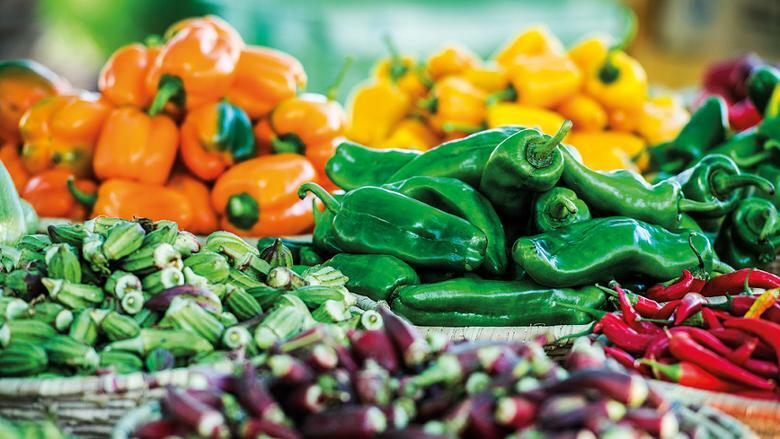 There are colourful okras and bell peppers and white, red and orange tender carrots with fluffy bright green tops. Eggs from the nearby hen coop are also available as are dates from the palms at the farm, and honey collected from its apiary. 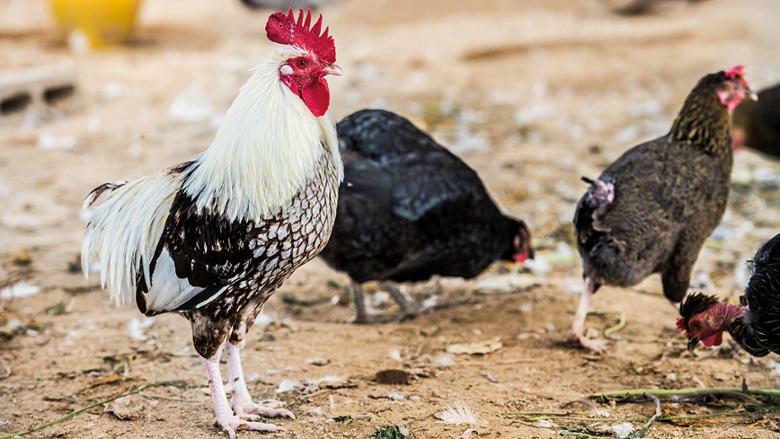 • With over 55 varieties of vegetables and fruits, and 8,000 certified eggs distributed daily, Emirates Bio Farm, located on the Dubai-Al Ain highway in Al Shuwaib, is undoubtedly the largest private organic farm in the UAE. 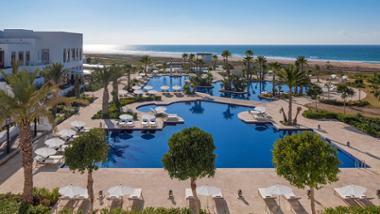 • Spread out on a 250,000 sqm facility, it welcomes visitors every Friday and Saturday from November to March. According to Yazen Al Kodmani, operation manager, the farm utilises three types of farming: open field, shade nets and greenhouses, and has a highly efficient sorting, packing, storage and distribution system that sees 90 per cent of its products go from field to shelf in less than 24 hours. • Facilities here include a farm shop, meeting room, outside dining/gathering area, experience centre, as well as an Arabian tent overlooking the farm and open desert dunes. Visitors can participate in tractor tours that run hourly. 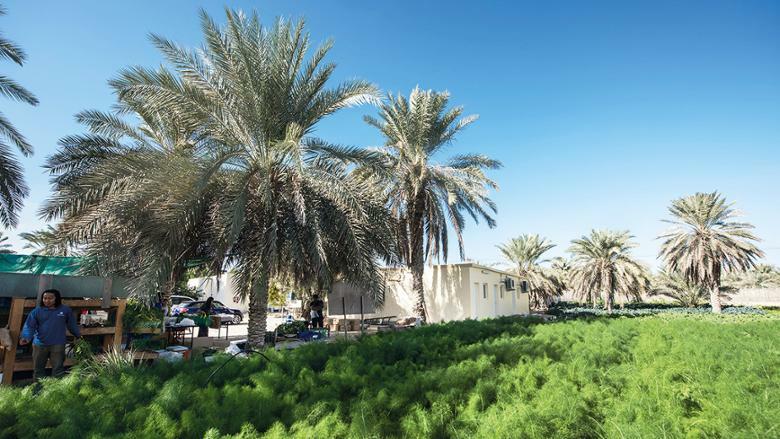 Emirates Bio Farm is also a perfect location for yoga, meditation and wellness-based activities, he adds. • Call 03 783 8422 for more information or to host a corporate event which includes a customised set of activities and meals made with the farm produce. • There are no signposts leading up to the farm, so relying on your GPS is the best bet. • Farm visits are scheduled every Saturday until first week of May. • Wear closed shoes preferably to avoid soil and dust on your feet.